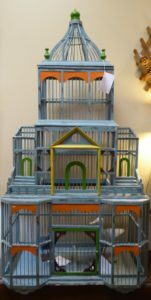 Fantastic Bird Cage, Vintage Food Dryer and an Invitation! Mark your calendars for March 25th, Americana Day! We are proud to welcome The Queen Street Diner, who will be a participant in the Grilled Cheese and Tomato Soup Festival presented by the town of Strasburg. 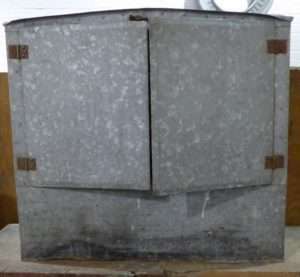 (Tickets for the tasting and more info are available at the Town Hall, 540-465-9197). The Diner will serve tomato soup/grilled cheese at The Strasburg Emporium as part of a Whole Town Event! 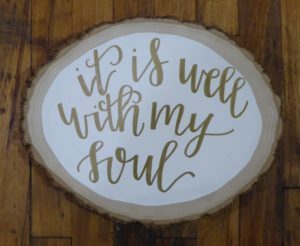 In addition we will have Live Music by the talented Iron Rose and Kate Holman, 12:30 to 4:00. Further more, Robert Swope Jr. will sign his book, ‘Indian Artifacts of the South and East’. 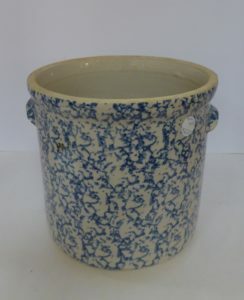 And as always we will have Yummy Refreshments and Store Wide Sales! Come take a LOOK! 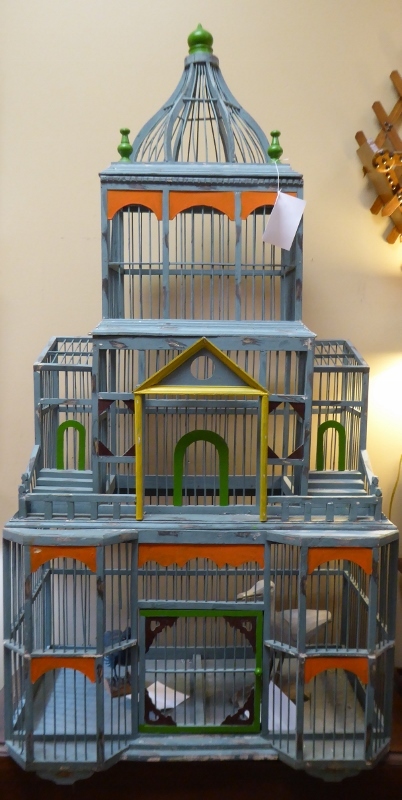 Huge Painted Wooden Birdcage from Booth 407 – $845.00. 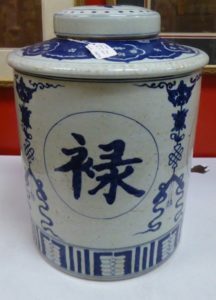 Spongeware Jar from Booth 11 – $85.00. 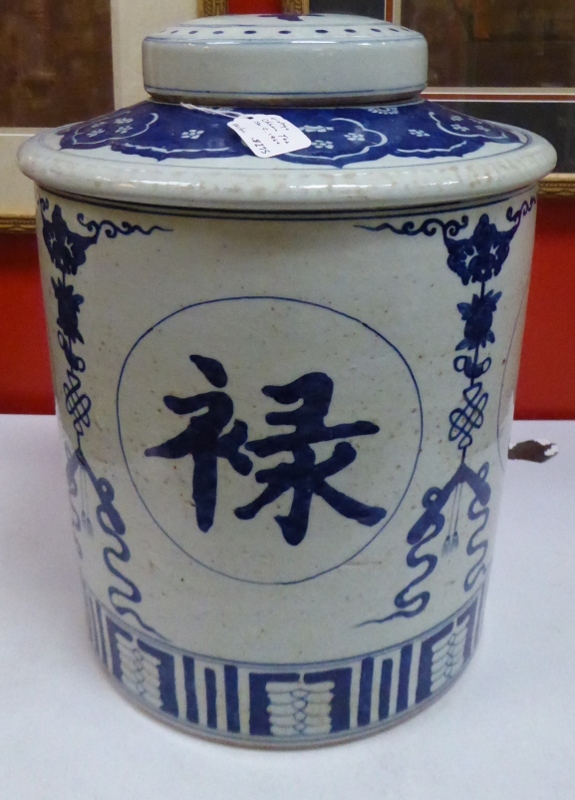 Large Tea Jar w Lid from Booth 411, circa 1960 – $275.00. 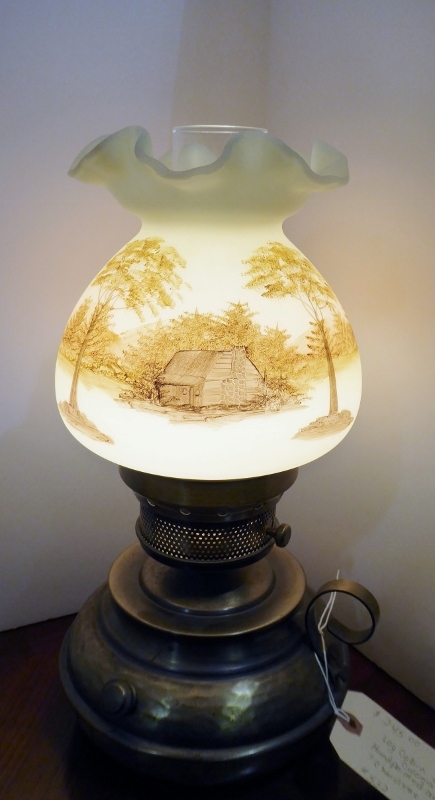 Fenton ‘Log Cabin’ on Custard Glass, Hand Painted, Signed – Booth 18, $245.00. 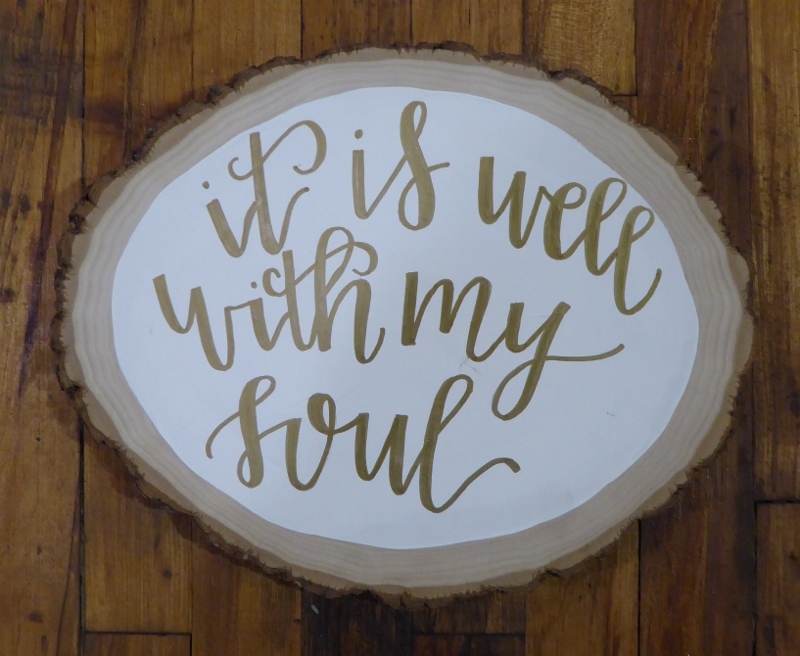 ‘It is Well With My Soul’ Plaque/Calligraphy – Booth 611, $28.00. 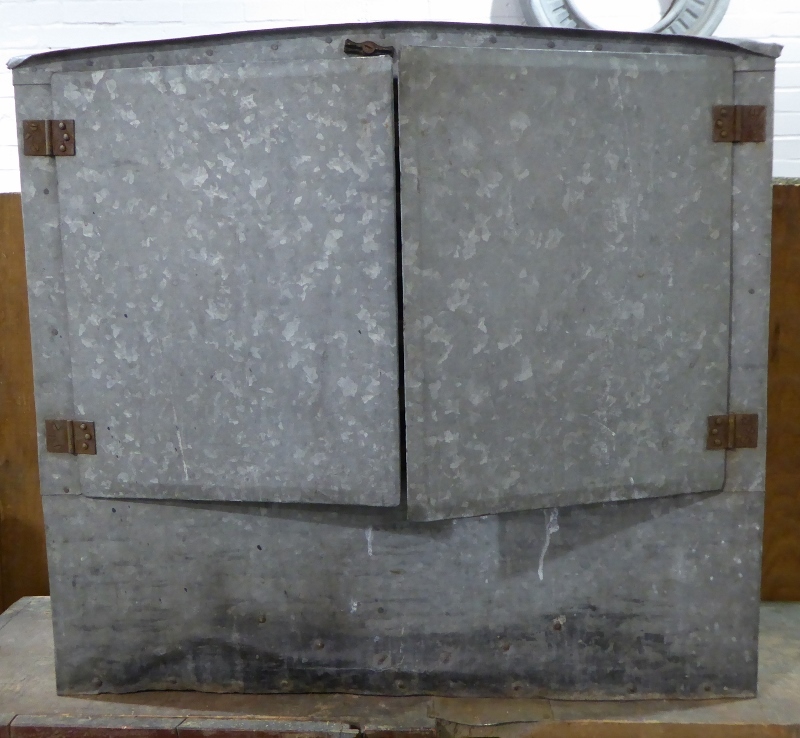 Folk Art: Tin Banjo Replica – Booth 11, $145.00. 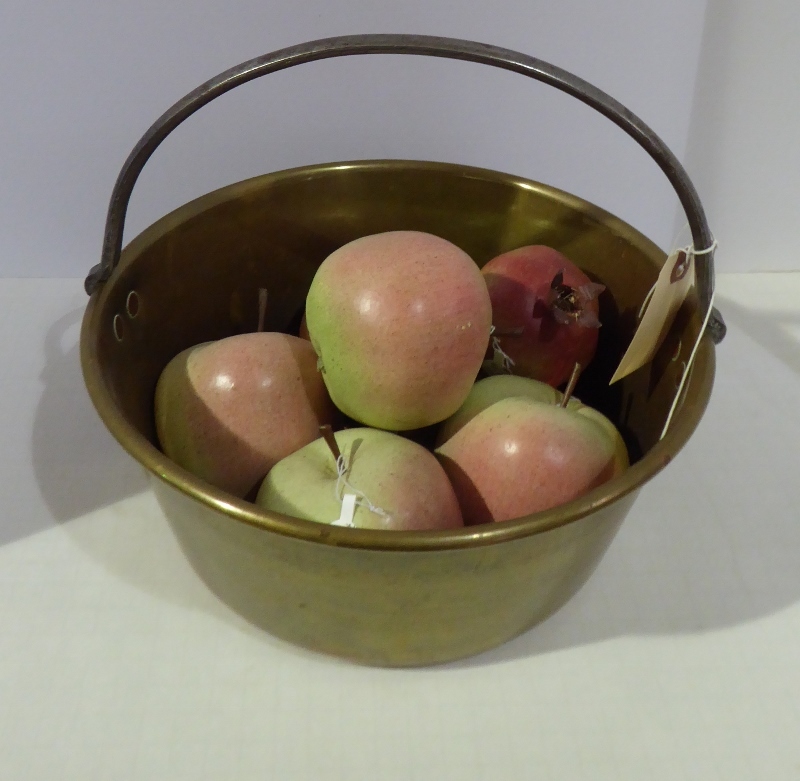 Brass Bucket, $125.00 – Apples, $5.95 ea., Booth 11. 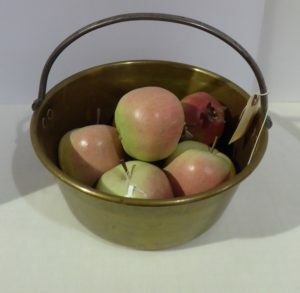 Vintage Fruit Dryer from Ohio – Booth 11, $185.00. 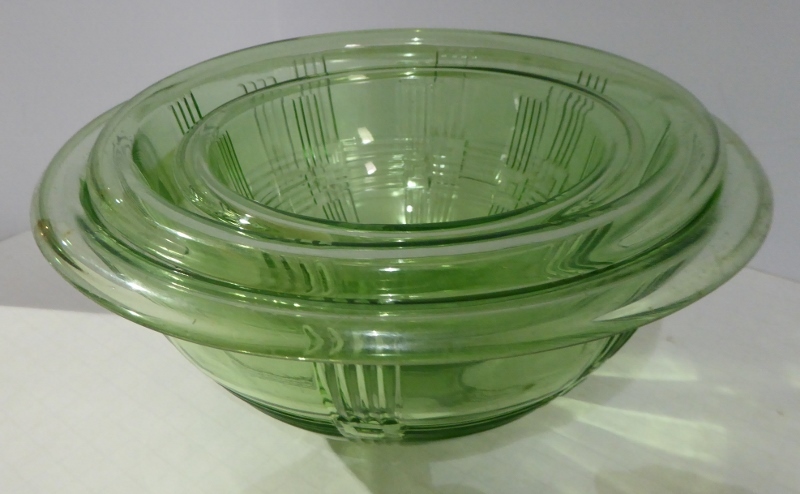 Criss Cross Green Depression Mixing Bowls, Booth 316 – $30.00, $40.00 and $40.00. ‹ Fabulous Prayer Rug, Handmade Farm Table and a Bargain Set of Oak Chairs!